Here’s our list of the Top 3 Himalayan Salt Gifts – Christmas 2014! Before we get started, you should know that regardless of the Himalayan Salt product you choose, you can be sure your give recipient will LOVE it! 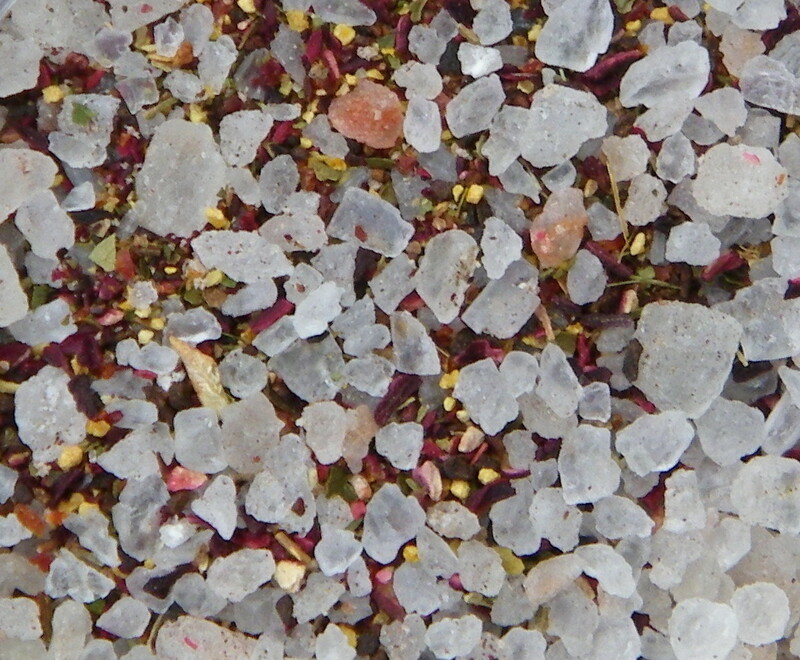 Himalayan Sea Salt spices up any food with sensational, all natural, gourmet flavor. Himalayan Salt Lamps provide natural, air cleansing abilities while emitting an earthy, relaxing glow in any room of the home. Himalayan Bath Salts and Massage Stones provide a soothing spa-like experience, without ever leaving your home! This mineral rich, ancient sea salt is mined and imported from the foothills of the Himalayas, offering a taste of heaven, inspirational, air cleansing light, and relaxing, therapeutic effects on the body. These benefits make any form of the salt perfect for gift giving, but what are the Top 3 Himalayan Salt Gifts this year? This organic salt block allows your lucky special someone to enjoy a truly unique culinary experience! The salt imparts sensational gourmet flavor to foods, while offering a fabulous presentation to any dish, and can also be used to chill and serve cold foods! 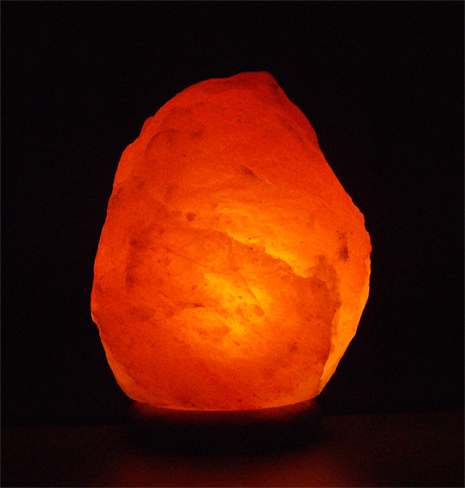 A -20lb Natural Himalayan Salt Lamp is the perfect size for lending earthy ambiance and a healthier atmosphere to any 10′ x 15′ (150 sq. ft.) room. This large salt crystal lamp is a stunner coming out of the box, and an even more pleasant surprise once your gift recipient turns it on! Anyone who frequently entertains or enjoys a good Tequila Party is sure to appreciate this gift set! Himalayan Salt compliments many cocktails and alcoholic beverages particularly well, especially Tequila. 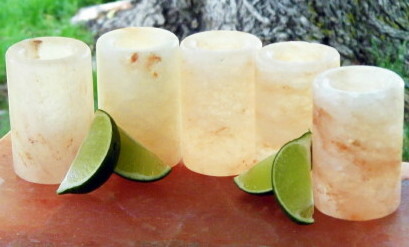 This notion is supported by the presence of Himalayan Salt Shot Glasses on the list of Oprah’s Favorite Things 2013. Meanwhile, the gourmet-style presentation created by both the glasses and the salt block is such a sensation that Chefs all over the world have added it to their menus! Perhaps you have just found the perfect gift for that culinary genius in your family, that special someone who would enjoy the warm, soft glow of a Himalayan Salt Lamp, or a friend or family member who loves to entertain in grand fashion. Either way your special someone is sure to enjoy the gift of all natural Himalayan Salt! August is almost here and for some of us it is heating up nicely. With picnic and BBQ season moving into late summer, this Sweet & Salty Strawberry Daiquiri Recipe is just the thing to spice up your summer evening gatherings, or afternoon picnics. Made with Himalayan Culinary Salt, you can easily revive your sunny pool side patio parties, or evening dinners by serving this sweet and salty drink. It can also be made without the alcohol for a virgin Daiquiri the kids will love! Rim serving glass in sugar, pour daiquiri into glass & enjoy! >Want to make this drink more “tropical”? Try using Coconut Rum! >Want to add some citrus flavor to your drink? Squeeze 1/2 of a lemon into the mix for a Strawberry-Lemonade Daiquiri! >Try a Cherry Daiquiri instead; use 1/2 cup cherries instead of strawberries! Whether you use this recipe as is, or you try one of the alternate recipes included above, this drink compliments any summer meal perfectly and looks just as yummy as it tastes! (Speaking of which, we would love to show you how beautiful our Daiquiris came out, but unfortunately we got too excited to dive in and drank them before we remembered to take a picture; we promise to get one the next time we make these and upload it to this post!) Himalayan Salt is the perfect salt to use in other Sweet & Salty drink recipes as well, so don’t hesitate to try your own concoctions, and please remember- have fun, but be sure to drink responsibly this summer season. Himalayan Salt Block BBQ Grilling – Sensational Flavor for Summer 2014! This gourmet BBQ grilling technique is making a big splash this summer, as more and more people are discovering the sensational flavor that Himalayan Salt Block BBQ Grilling brings to the party! Some quick, tasty tid bits you can grill on your salt block? ➤ Lightly grease your salt block with butter, place some large shrimp on the block and sprinkle with just a hint of garlic powder and crushed parsley. Grill on one side until the shrimp cooks about half way through, then flip to the other side and cook until done. No need to serve with cocktail sauce, you will find the flavor to be absolutely divine on its own! ➤ Try the same technique with scallops, lobster tails (sliced into ½ strips), Tilapia, and our favorite, Mahi Mahi. Better yet, if you grill Mahi Mahi on a Himalayan Salt Block with a splash or two of Coconut Rum…well, you will just have to try it because words cannot describe how delicious it tastes! ➤ Try this recipe for a Sinfully Sweet & Sour, Summer Treat: Grill fresh pineapple slices with a splash of Cherry Jack, or a good Brandy, and then use them as a topping for vanilla ice cream! ➤ Toss a salad, set out some uncooked shrimp, scallops, pineapple slices, the liquors mentioned above, a dish of butter, and any sauces you might like, along with some skewer sticks, then place a hot salt block in the middle of the table and let everyone enjoy a conversation while grilling and nibbling! 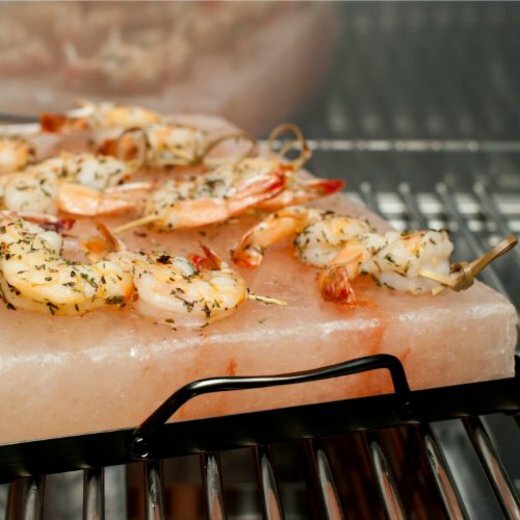 Looking for a Himalayan Salt Grill Block? Using this Himalayan Bath Salt Recipe, you can make your own scented bath salts right in your own home for use in a soothing, healing bath, or, to give as trendy gifts for friends, family and business associates! Herbal scented bath salts are a snap to make, and provide a soothing spa experience for those who enjoy pampering themselves. Using organic Himalayan Salt ensures that your bath is free of chemicals and other irritants, such as the anti-caking agents and preservatives found in commercial bath salts, while the use of organic herbs enhances the bath further with the herbs’ own natural scent and properties. Simply mix the salt and herbs together and store in a airtight container; glass jars work best. Use 4oz., or half of the mixture, per full tub of bathwater; be sure to add the bath salt to the bath while it is filling to aid in dissolving the salt in the water. Fill decorative jars with the herbal bath salt and finish it off with a ribbon tied around the top of the jar. These homemade health & beauty salts provide wonderful salt treatments that will infuse your bath with their respective natural soothing and healing powers while relaxing your body and cleansing skin for a fresh, clean feeling after your bath! Need Himalayan Salt? 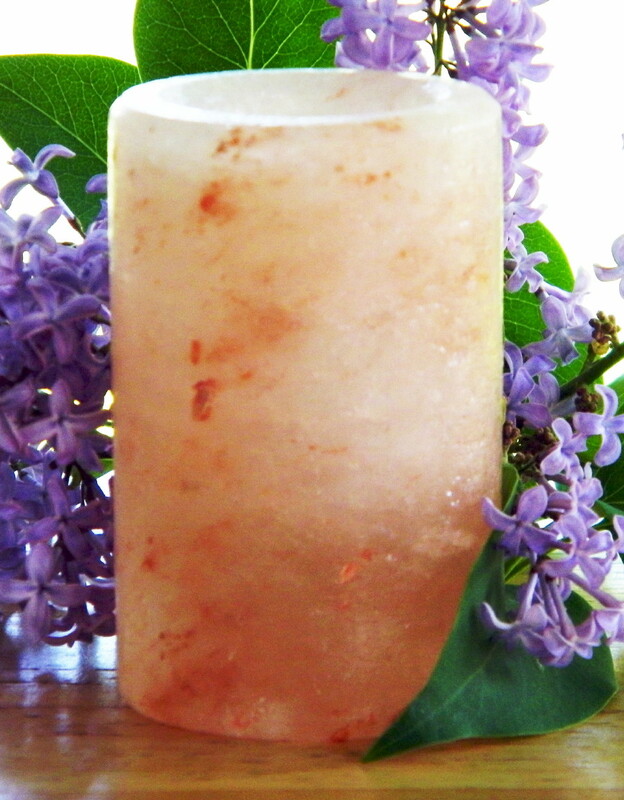 Click Here to buy Quality, Organic Himalayan Salt for use in your Himalayan Bath Salt Recipe! Rinsing the mouth with salt is an age old remedy for various oral issues. The use of Himalayan Salt for this procedure, or a Himalayan Salt Mouthwash Rinse, adds additional essential minerals for optimal effects. This natural treatment helps to heal wounds and sores in the mouth and also works well as a disinfectant for daily preventative oral care. This is an excellent choice for those seeking natural methods of oral care as Himalayan Salt is pure, unprocessed sea salt which contains no preservatives, no gluten, and no chemicals. You may either make a salt water or saline solution using 1/8 tsp. Himalayan Salt to 1 1/2 oz. of water, or, you may use a Salt Glass to easily make the solution. Himalayan Salt Shot Glasses work well for rinsing the mouth with salt solution; you simply fill the shot glass with water, swish the water around for about 10 seconds and then rinse and gargle with the solution! This Himalayan Salt Gomasio recipe enlivens the traditional macrobiotic seasoning, Gomasio (also spelled Gomashio), with the subtle, gourmet flavor of Himalayan Pink Salt! This dry condiment which originated in Japanese cuisine is a sesame salt similar to Furikake and a fundamental seasoning used in a macrobiotic diet. The benefits of Gomasio include flavor as well as the ability to reduce the amount of sodium intake in your diet. Gomasio is an excellent substitute for salt and pepper and adds mouthwatering flavor to rice, soups, stews, casseroles and veggies, and is easy to make at home. Himalayan Culinary Salt was formed millions of years ago under intense tectonic pressure deep within the Himalayan Mountains. This flavorful salt is also called Himalayan Pink Salt because of it’s beautiful peach/pink color which is caused by the over 84 essential minerals contained in the salt. 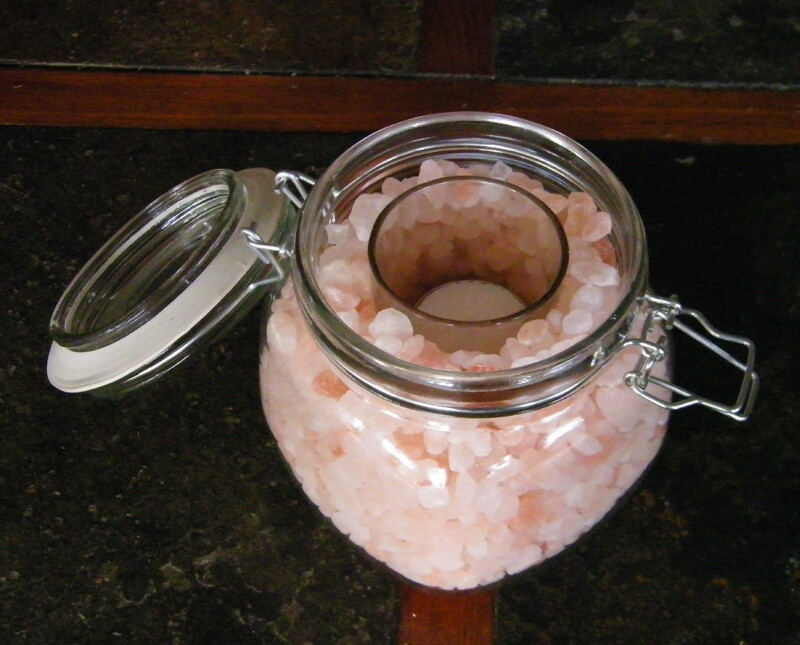 Learn how to make your own DIY Himalayan Salt Candle Holder Jar! These enchanting candle jars feature Himalayan Pink Salt click here which emit an inviting glow in hues of peach/pink. They make wonderful Christmas, Birthday, Wedding or Anniversary gifts or can be used to create a warm, festive atmosphere at Holiday dinner tables. The following directions allow you to quickly and easily create beautiful Himalayan Salt Jar Candle Holders for tranquil, soothing lighting in any location of the home. Enjoy this project with your children, friends or family, and don’t forget to try a salty and sweet Himalayan Salt treat recipe for extra special fun! 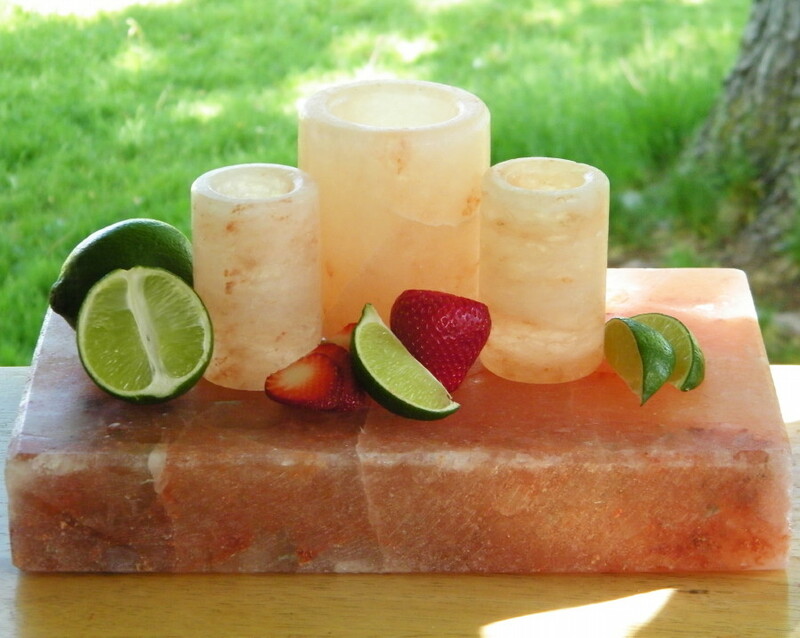 Using a spoon or culinary scoop, carefully fill in the jar with Himalayan Salt up to the rim of the votive holder. Do not allow any salt to fall into the votive holder. Place a tealight, or scented votive candle (I used a cream colored, vanilla scented candle) in the votive holder and light! 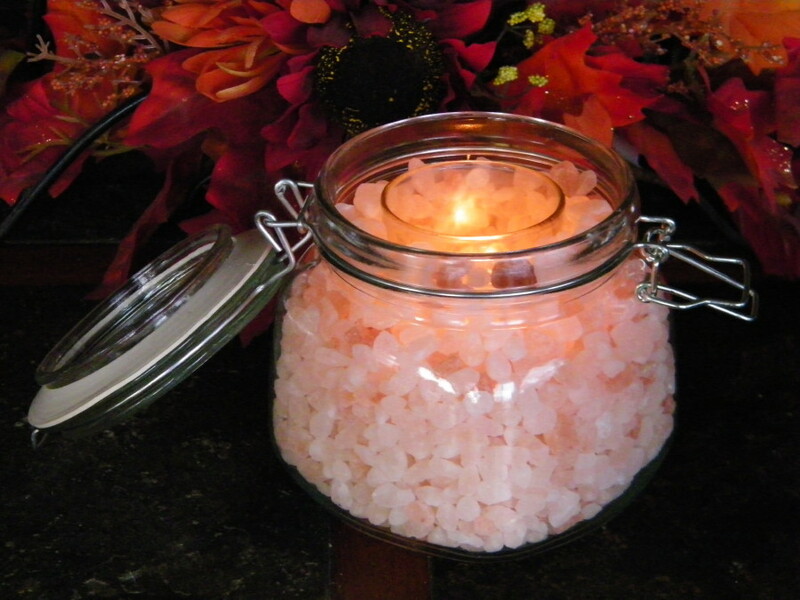 You should now have a beautiful candle holder jar filled with glowing Himalayan Salt! These can be made very quickly and make wonderful conversation pieces. 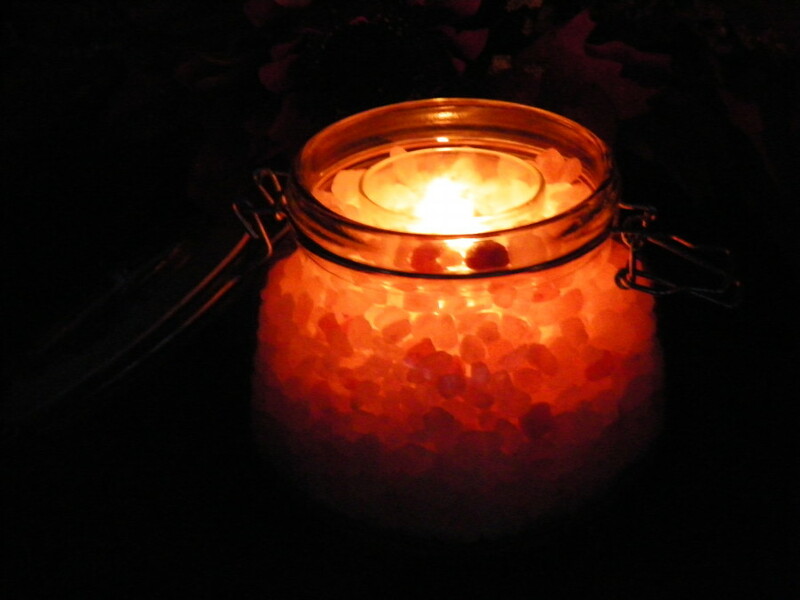 As you will see, the warm coloring of the salt creates inviting, festive candle light! Looking for that perfect drink recipe for your Holiday party? Sweet and salty drinks are all rave this year and with the rich combination of contrasting flavors, the popularity of these drinks is no surprise. Now you can create decadent, festive drinks your guests will never forget with the rich, gourmet flavor of Himalayan Culinary Salt click here and the spectacular presentation benefits it provides. This ancient sea salt is available in both the traditional course and fine grain forms of salt, yet holds a special surprise in store for those with an interest in taking their sweet and salty drinks to the next level…with the ability to be cut or carved into a glass form! Already fashionable sweet and salty drink recipes are transformed into sensational Holiday beverages when infused with the subtle yet rich salt flavor Himalayan Salt possesses, but nothing will delight your guests like a sweet alcoholic beverage that gets it’s salt flavor from the glass it is served in! For Sweet and Salty drink recipes, like the “Salted Caramel Vodka Infusion Shot” visit the Himalayan Salt Recipes Blog click here and be sure to have a fun and safe Holiday season! 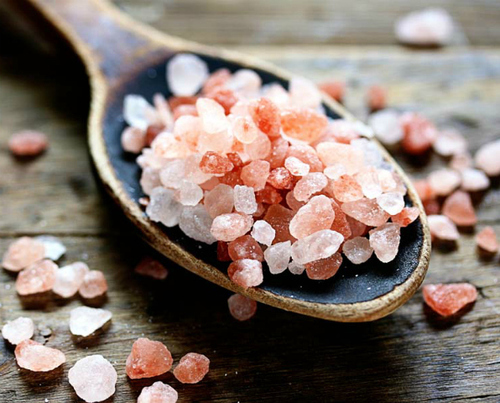 Want to know more about what makes Himalayan Salt different from other salts? You have most likely already learned that Himalayan Culinary Salt is a pure form of salt that comes from deep within the Himalayan Mountains, that it is packed with vitamins and minerals, and has not been exposed to modern environmental pollutants. But what about it’s flavor and uses? Himalayan salt is renowned for the unique flavor it lends to foods, infusing them with subtle salt flavor that compliments just about any dish from sea foods and pineapple to caramels and chocolates . Along with this flavorful aspect, Himalayan Salt also has the potential for use in a solid block form, which we will discuss in more detail below. This versatility of the salt along with it’s spectacular flavor is a combination of benefits which have gained it rapid popularity in the culinary world. Himalayan Salt does in fact have a unique flavor that differs from regular table salt. Himalayan Pink Sea Salt is more subtle than regular salt, yet it has a richer flavor that does not have the “twangy”, almost “burning” aftertaste of regular salt. To describe this better, if you put regular table salt on your tongue, you will notice that creates a rather “burning”, “stinging” sensation if you keep it there until it melts; if you try this with Himalayan Salt, you will notice that you can allow the salt to melt with very little of this harsh sensation on your tongue. Because of it’s richer flavoring, you may find that you can use less salt on your food and still get the salty flavor you desire. When used to season foods, Himalayan Salt enhances their individual flavor, sort of “blending with the flavor of the food” instead of tasting like something you added to it, which lends a full, rich taste that regular salts can not. The addition of Organic Herbs and Spices in Himalayan Finishing Salts lends even more flavor to foods. Gargling with Himalayan Salt is much more tolerable than regular salt, due to it’s more subtle and less tangy flavor. Due to it’s denser form which is caused by the 84+ minerals contained within the salt, Himalayan Salt has the ability to be fashioned into blocks for grilling, chilling and serving foods, as well as serve-ware such as bowls, glasses and plates. 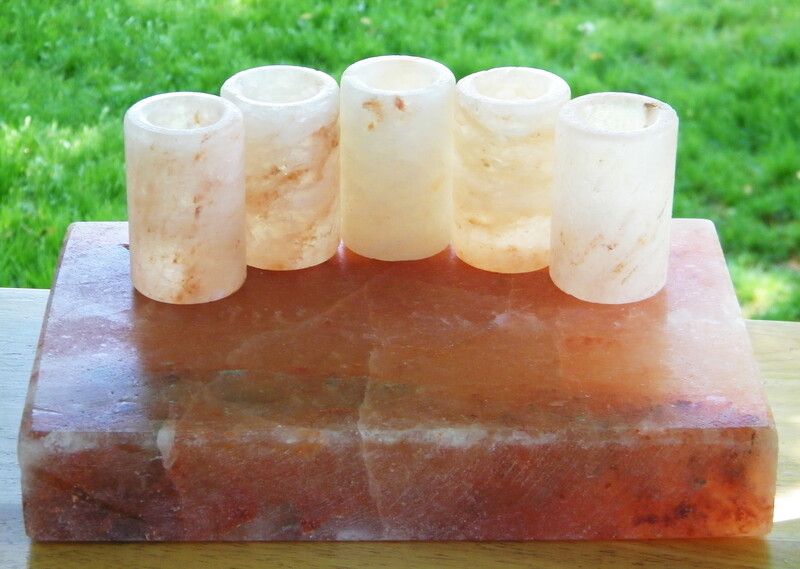 The salt can also be shaped into decorative forms, an ability that is better demonstrated by it’s use as a Hand Carved Salt Lamp, which you can find in a variety of shapes. Grilling, chilling or serving foods on Himalayan Salt Slabs allows it to add the same subtle yet rich salt flavor to foods as it’s traditional granular form, while lending gourmet presentation to the dish as well. 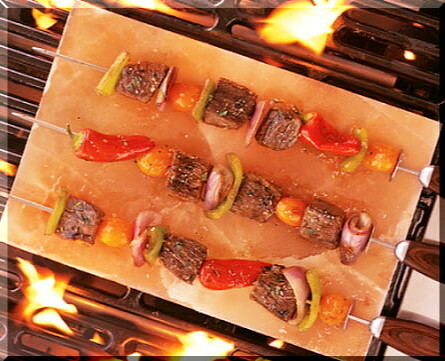 Himalayan Salt Grills or Kitchen Slabs can also be used outdoors on your BBQ grill, adding to it’s versatility. As Himalayan Salt can be either heated or chilled, and retains it’s temperatures for long periods of time, it is perfect for serving foods upon. Himalayan Pink Sea Salt is a vastly versatile mineral with a myriad of uses that one must experience to fully understand. However, most people who try it are happy that they did! This Pink Sea Salt Crunch Caramel Apples Recipe infuses a traditional fall favorite with pink sea salt, (Himalayan Culinary Salt) turning it into an unforgettable sweet & salty fall treat! 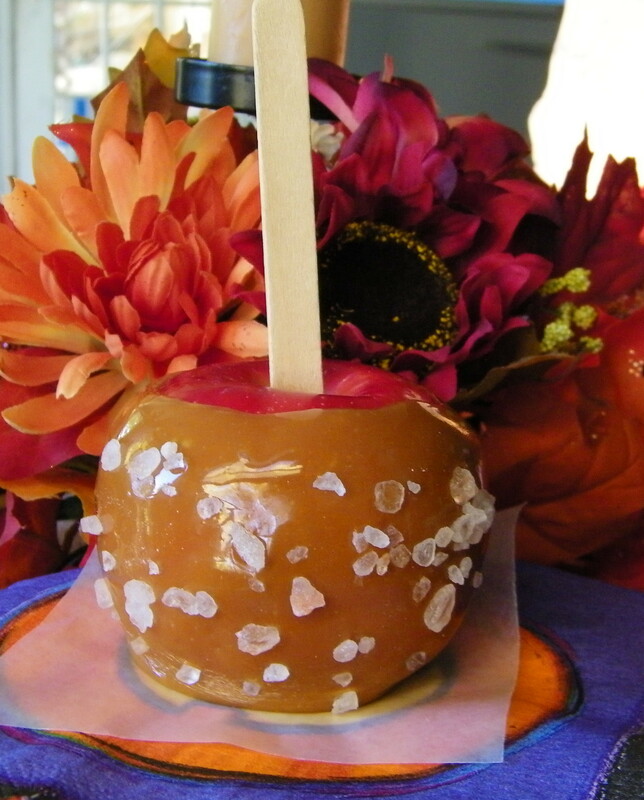 With their salty caramel coating, these apples disappear like ghosts into thin air! These sweet and salty treats are sure to please even the pickiest trick or treat visitors!